The Old Post Office building on the corner of Whatley Crescent and Seventh Avenue, Maylands was built in 1910. it was the first permanent post office in Maylands and was built at a time when the State of Western Australia still built post offices on behalf of the young Commonwealth Government. Silvercock & Hayes built this building for 736 pounds. Back in 1942, there were no public phone boxes near the Post Office, but a 1949 photograph does show two phone boxes near the Post Office. By 1984, there were several public phone boxes near the Post Office. The Post Office closed and the building was sold in 1988. 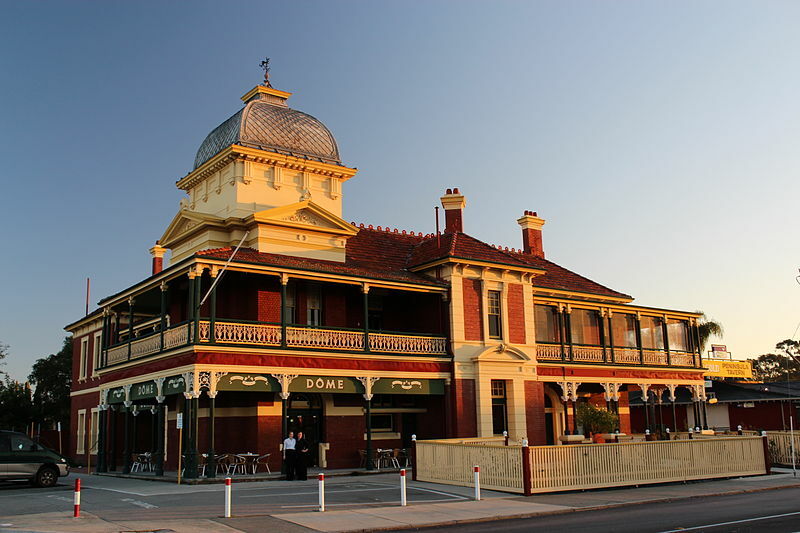 The Maylands Post Office is now located in Eighth Avenue and the State Heritage Office has approved redevelopment of the Old Post Office building as a wine bar. See our Old Post Office Flickr Album for digitised images and other digitised information.